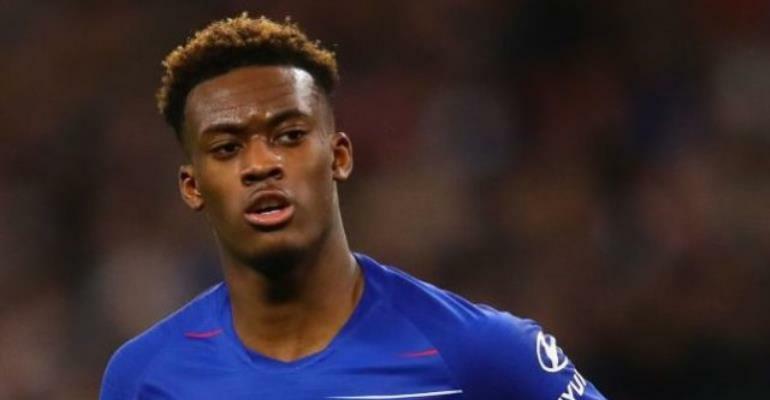 Chelsea have offered counselling to teenage winger Callum Hudson-Odoi after he was subjected to racist abuse twice in 11 days. The club reported that the 18-year-old heard monkey chants during Chelsea's Europa League win at Dynamo Kiev on 14 March, which Uefa is now investigating. Hudson-Odoi was one of several England players abused during the 5-1 win over Montenegro on Monday. England boss Gareth Southgate has also been in touch with the player. After the Montenegro win, which was Hudson-Odoi's full England debut, the winger described the abuse - also targeting Danny Rose and Raheem Sterling - as "unacceptable". The youngster is understood to be faring well since then but will be offered a range of support if he needs it. Hudson-Odoi said after the Euro 2020 qualifier: "When you are hearing stuff like that from the fans, it is not right and it is unacceptable. Hopefully, Uefa deal with it properly. "When me and Rosey went over there, they were saying 'ooh aa aa' monkey stuff - we just have to keep our heads and keep a strong mentality." England boss Gareth Southgate said: "We have to make sure our players feel supported, they know the dressing room is there and we as a group of staff are there for them." Chelsea are next in action at Cardiff City on Sunday as the Premier League returns after the international break.